From debut voice A.B. 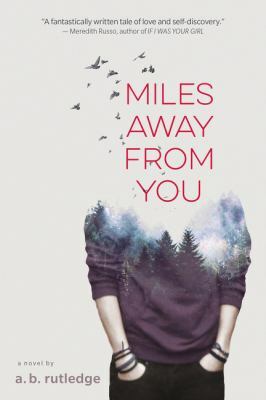 Rutledge comes a quirky and completely fresh story of young love, loss, and the drastic distances we sometimes have to travel in order to move on, perfect for fans of Adam Silvera and Jandy Nelson. Explores gender nonconformity and the spectrum of sexual preference in an authentic way. It's been three years since Miles fell for Vivian, a talented and dazzling transgender girl. Eighteen months since a suicide attempt left Vivian on life support. Now Miles isn't sure who he is without her, but knows it's time to figure out how to say goodbye.